Baptisms will take place the 3rd Weekend of the month. Please call the parish office up to 6 months before the birth of your child. Preparation classes are held quarterly. Parents & Godparents must attend. 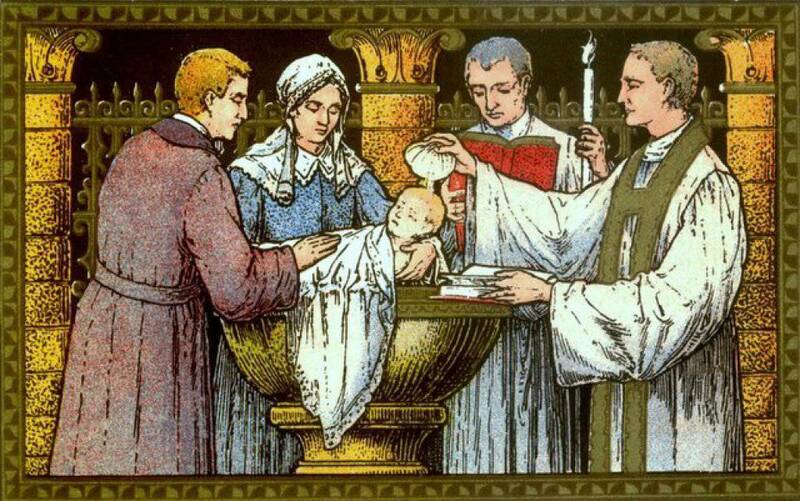 Baptism is the basis of the Christian life, the gateway to life in the Spirit, and the door which gives access to each of the other six sacraments. Through Baptism, we are freed from sin and reborn as sons of God. Baptism is the sacrament of regeneration through water in the word. Parents must be active members of the Parish. Saturdays 3:00 - 4:00 PM or anytime upon request. 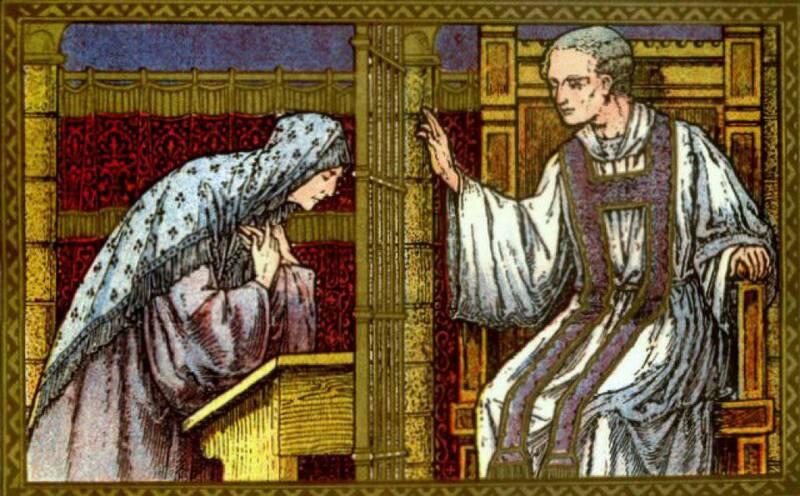 Those who approach the sacrament of Penance, with sorrow for their sins, obtain God's forgiveness for offenses against Him. Concurrently, they are reconciled with the Church which they have wounded by their sins. 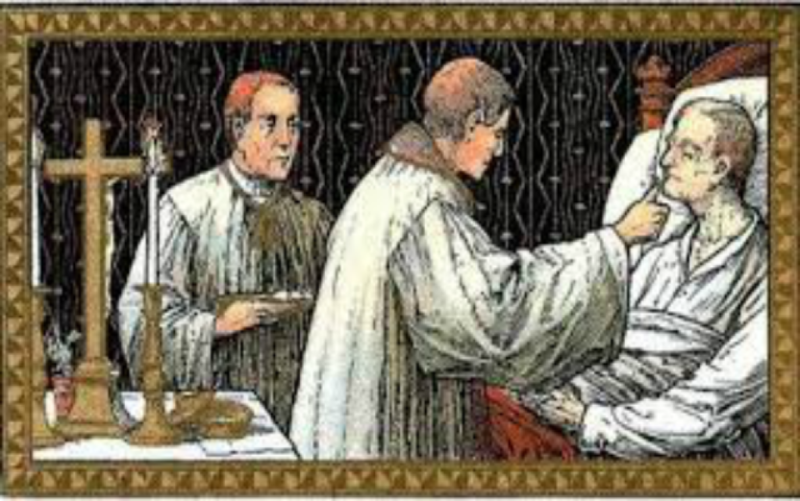 The third of the three sacraments of initiation, the Sacrament of Holy Communion is the recepti on of Christ's Body and Blood. 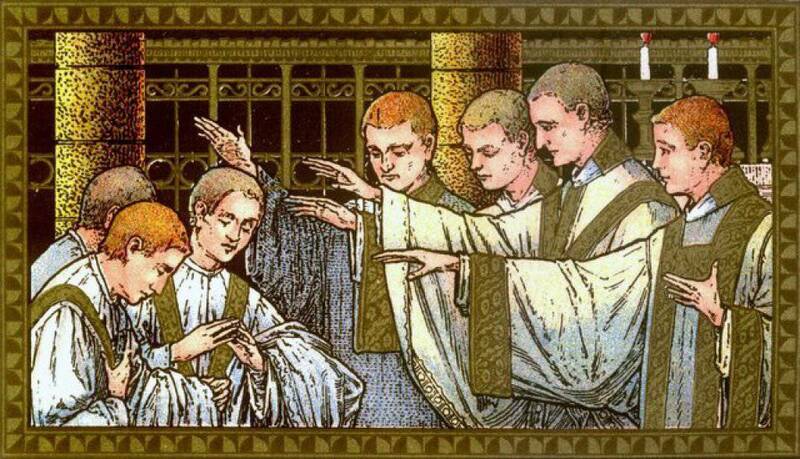 This sacrament is the source of great graces that sanctify us and help us grow in the likeness of Jesus Christ. Catholics believe the Eucharist, or Communion, is both a sacrifice and a meal. Please refer to our mass times. 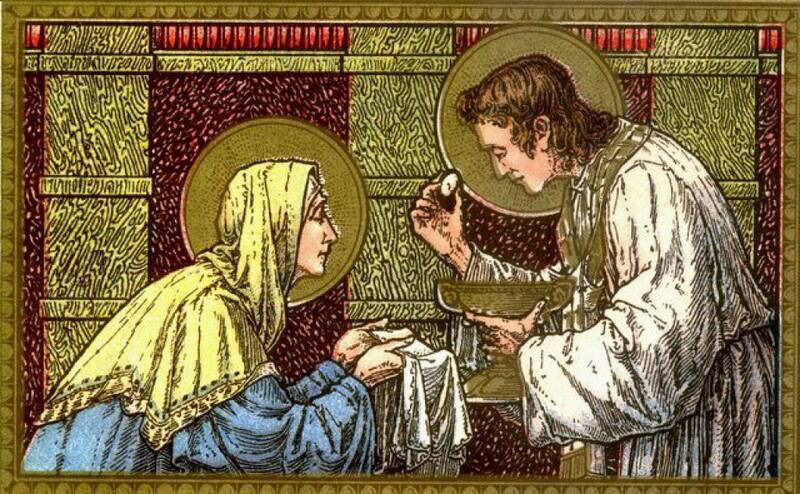 Baptism, Eucharist, and Confirmation, together, constitute the sacraments of Christian initiation. 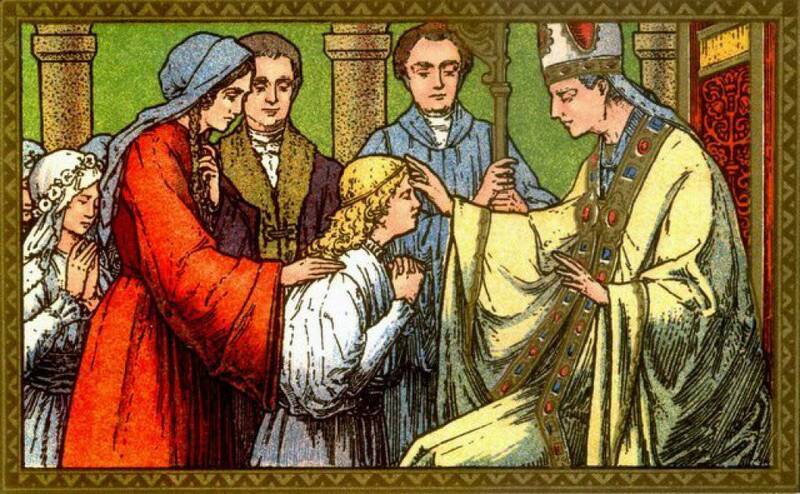 The reception of Confirmation is necessary for the completion of baptismal grace. In Confirmation, the baptized are more perfectly bound to the Church, and they are enriched with a special strength of the Holy Spirit. As true witnesses of Christ, then, the confirmed are more obligated to spread and to defend the faith by word and deed. Arrangements must be made SIX months in advance. The Catholic party must be a registered, active member of the Parish. 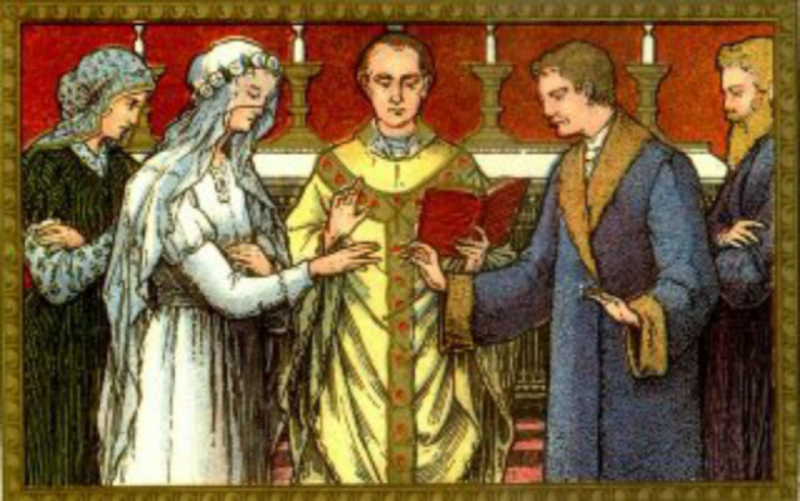 The Catholic Church believes that Christian marriage is the union of a baptized man and woman who freely enter into a covenant of love, with each other in Christ, and for the purpose of giving and receiving love, and for the procreation and education of children. Through married couples' love for each other, their children, and the larger community, they become a living sign for us of how much Jesus loves us and wishes to embrace us as brothers and sisters. To be able to sustain the ideal Christian marriage, couples must give and receive love to enhance their relationship. They must also have a personal relationship with Christ and His Church. Please call the office for sick people who wish to receive the Sacrament of anointing. Please call the office for sick people who wish to be visited by a priest or a lay minister. The anointing of the sick, and the prayers of the priest, are means by which the Church commends those who are ill to the suffering and glorified Lord. The ill contribute to the good of the Church by uniting themselves to the Passion and death of Christ.